Ranitidine is a type of medicine called an H2 receptor antagonist. It acts in the stomach to decrease the production of stomach acid. By reducing the production of stomach acid, Ranitidine helps reduce irritation to the stomach lining and oesophagus (in reflux oesophagitis), which relieves stomach distress. Ranitidine is a prescription-only medicine. Acid inhibitors are used to treat stomach problems such as gastro-oesophageal reflux (acid produced in the stomach that flows back into the food pipe), heartburn, stomach pain, nausea, bloating, peptic ulcers, oesophagitis (inflammation of the lining of the oesophagus) and other stomach problems. Ranitidine can also be used for preventive purposes, for example in people suffering from recurrent peptic ulcers. The best time to take Ranitidine is before bedtime. If you are taking Ranitidine twice daily, try to take it in the morning and at night. 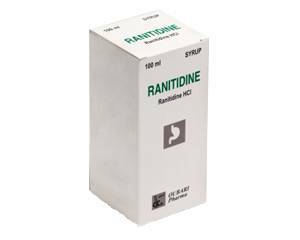 Ranitidine is available as effervescent tablets and suspension (oral solution). The effervescent tablets should be dissolved in a full glass of water. Allow to dissolve completely and drink immediately. The suspension can be used for children under the age of 12 and comes with a dosage spoon for measuring the correct amount. Ranitidine can be taken with or without food. The number of tablets or how much solution to take, how often and for how long will depend on the condition being treated. It is important to follow the instructions given by your doctor. Adults and children aged 12 and above: 300 mg once daily (bedtime), or 150 mg twice daily (morning and bedtime). Children under the age of 12 should be given a different dose in the form of a suspension. Each 5 ml of suspension contains 75 mg of ranitidine. Read the package leaflet before use. Most side effects will disappear with continued use. Consult a doctor if the side effects are persistent. For more information on possible side effects, see the package leaflet. You have a history of blood disorders called porphyrias. Consult a doctor if you have a decreased kidney function or a health-related condition that is not listed above. It is also important that you tell the doctor what other medicines or nutritional supplements you are currently taking to avoid potential interactions with Ranitidine. Ranitidine should not be used without consulting a doctor if you are pregnant or planning to conceive. This medicine is not recommended in breastfeeding mothers. Ranitidine can impair your ability to react, especially at the start of treatment. Stay out of traffic if you feel dizzy or tired. Alcohol irritates the stomach and should therefore be avoided.